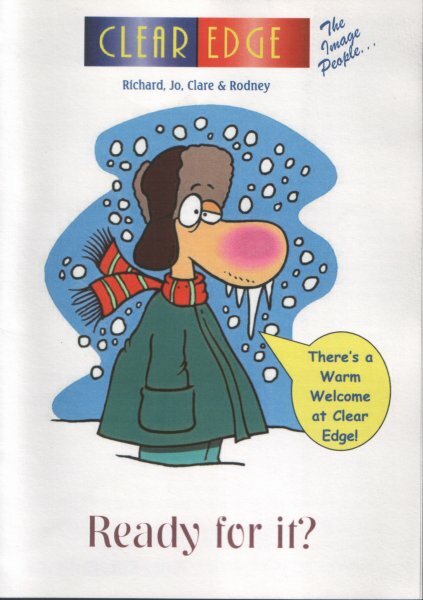 I received a card, early for Christmas - it seemed worth showing it to you. ClearEdge do printing on all manner of things. 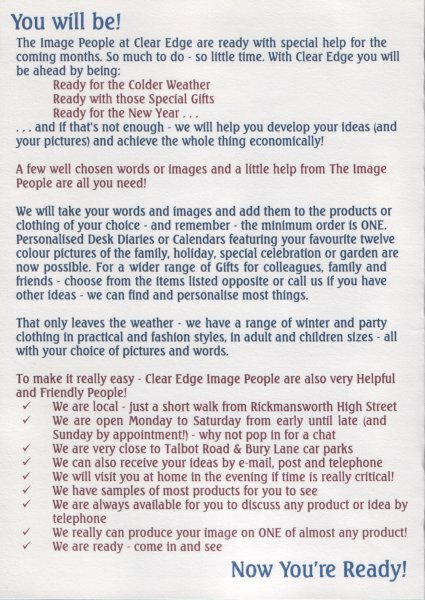 You can have pictures, computer graphics, and or just text printed on most anything. 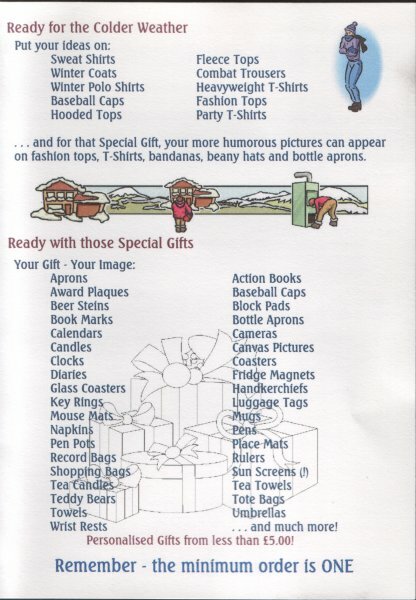 Imagine getting candles for you friends as presents to celebrate a special event - each candle could have a picture and the recipients name. Limited only by your imagination !!! 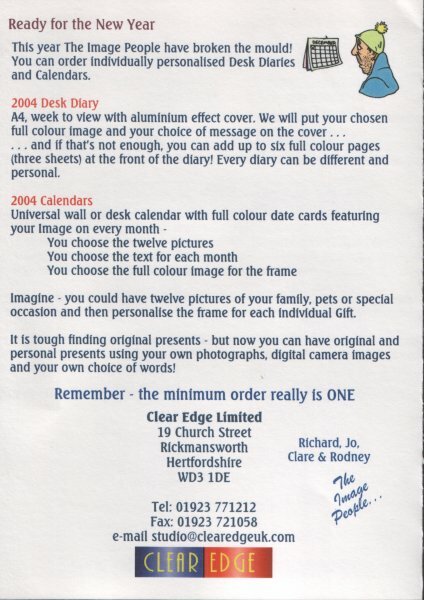 Do have a look at each of the pages of the card shown below - if you contact CLEAREDGE, tell them that "Byers sent you"
Click on the pages in turn to see a full size copy ! !